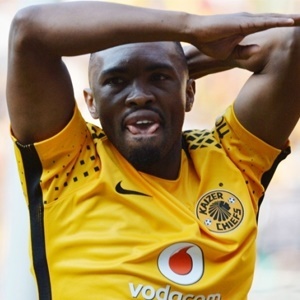 Cape Town - Kaizer Chiefs forward Bernard Parker believes his 50-goal milestone should have been achieved much earlier in his career, but remains proud of the feat. After winning the Eredivisie and KNVB Beker during his short stint with FC Twente, Parker joined Chiefs six years ago as a regular in the Bafana Bafana set-up. Now after 181 official appearances, two league titles, a Nedbank Cup triumph and the 2013/14 Lesley Manyathela Golden Boot, 'Die Hond' has finally reached the 50-goal mark for Amakhosi. While the goal was an important one in the 2-1 victory over Free State Stars over the weekend, the 31-year-old believes his low tally of goals is an indictment of the lack of technical ability taught within South Africa for promising strikers. "I have achieved something great," he told the club's official website. "It's a good achievement, although I am not entirely happy because with my standards and quality I would have wanted to have reached this milestone earlier. "I am now in my seventh season at Chiefs. To score 50 goals is great, but it's not enough, especially when looking at what is the going rate of scoring in Europe, as that's the top level and that's where the standard is set. "In general, strikers score one out of three goalscoring opportunities they get, that's 33.3%. Scoring is also about applying the correct (kicking) technique, even when being put under heavy pressure by the defenders. It's all about that technique. "However, let's be honest, how many kids get taught about the technique needed to score goals. "That's where it starts and we can only solve our lack of scoring in the PSL if we go back to the basics, which is at the youth development level. That's where the foundation is laid."